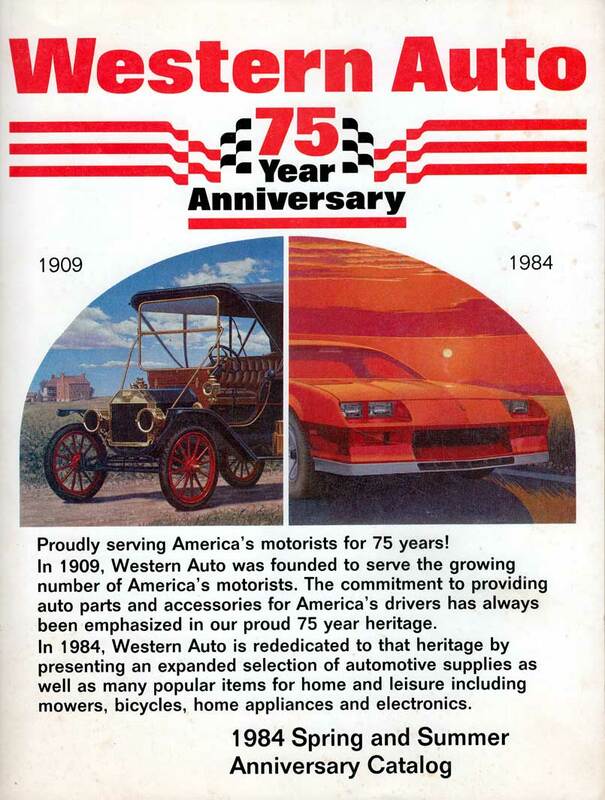 Western Auto stores were celebrating three quarters of a century in 1984 and feeling expansive. 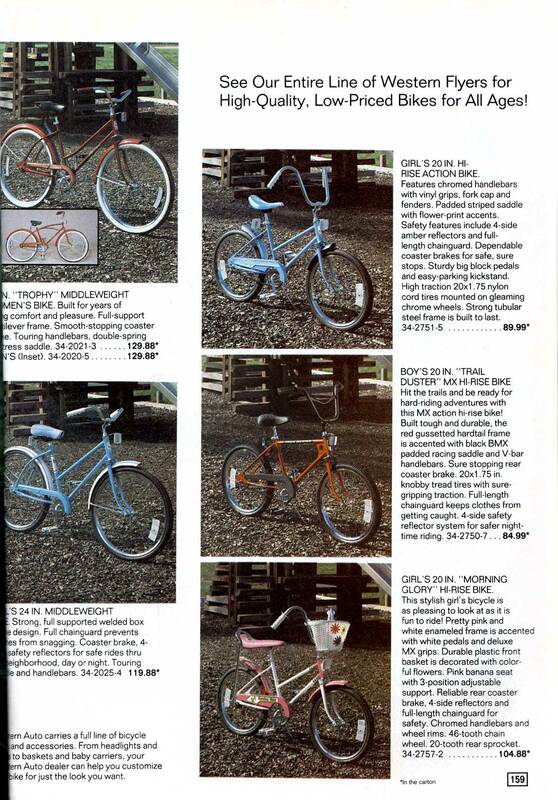 Barely half the pages in this catalog featured car parts, accessories, or tools. The rest touted BB guns, camping equipment, electronics, appliances, and eight pages of bicycles including those on these pages. Are girly-pink bikes even a thing anymore? 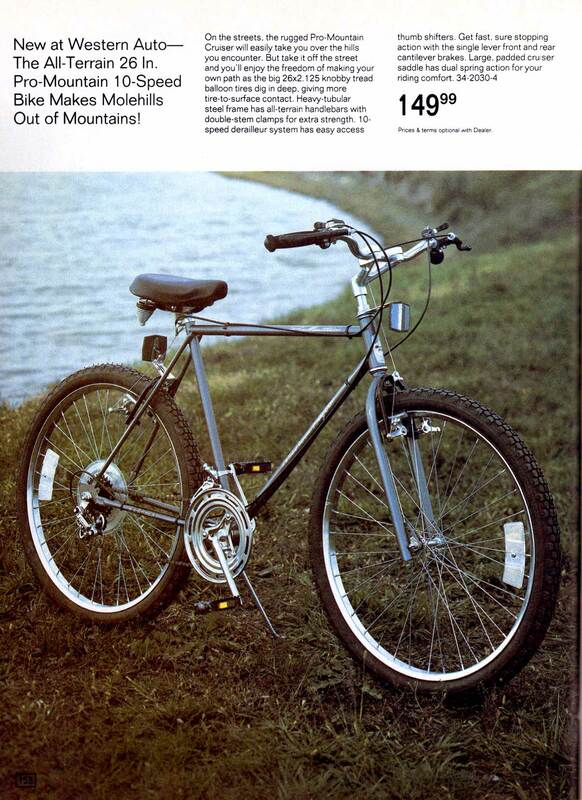 Evidently they still were in 1984, and so were high stingray handlebars and banana seats, despite the basic idea having been introduced nearly 20 years before. In contrast, boys and adults pedaled more classic styles, including the mountain bike which was really ramping up in popularity at this time. 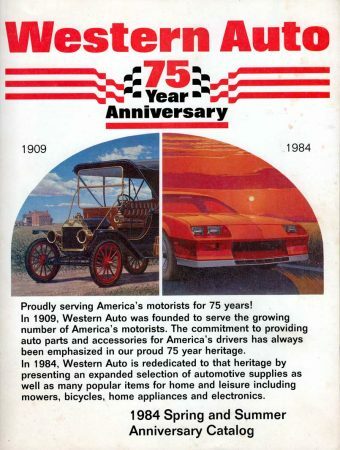 From bikes to furniture, Western Auto was broadening out, but at the same time diluting their focus. And in their 75th anniversary year, the corporate end of the road was but 20 years away.